Suspicious that people are mocking her, Amy uses the security system to spy on Cloud 9 employees. A man caught on cellphone video allegedly punching a woman in the face in a disturbing encounter in downtown San Diego earlier this month has been identified and will be charged with misdemeanor assault, officials with the San Diego City Attorney’s office confirmed to NBC 7 Saturday. The city attorney’s director of communications, Hilary Nemchik, identified the suspect in the alleged attack as Jerome Sanders. She told NBC 7 Sanders is being charged with misdemeanor assault, battery and attempting to stop the victim from making a police report. The case had been under review by the city attorney’s office since March 13. Sanders retired from the U.S. Navy in 2018 as a senior chief petty officer, according to his online social media profile. Sanders was allegedly captured on video punching victim Jessica Cox in the face on March 4, at around 8:30 p.m., in front of a 7-Eleven store near 6th Avenue and C Street. Cox said she had confronted Sanders after she saw him harassing another woman. Sanders was with his fiancée, Joanne Anita Martinez, at the time of the assault; Martinez can be seen in the cellphone video standing near Sanders and Cox moments before he strikes Cox. SDPD said Martinez gave police a fake name for Sanders following the assault. She’s being charged with unlawfully resisting, delaying and obstructing a peace officer in this case. Nemchik said, as of Saturday, there are no future court dates yet set for Sanders and Martinez. NBC 7 spoke exclusively to Cox on March 7 about the assault. She said Sanders punched her twice in the face, leaving her with bruises and cuts. Her face was swollen and there were cuts on her cheek caused by a ring on Sanders’ finger. Cox said she had seen Sanders push an older woman pushing a grocery cart and felt compelled to intervene and tell him to back off. She later saw him approach Martinez and thought he might hit her. Cox did not know Martinez was Sanders’ fiancée when she approached him again and told him she was going to call police. According to Cox, she told Sanders it was not okay to touch or hit women. 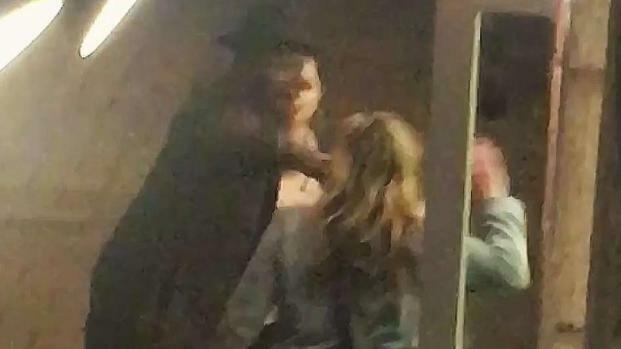 That’s when he turned and swung at Cox, hitting her in the face. Bystanders stepped in to help Cox; Sanders left the area but Martinez stayed at the scene and spoke with police. Cox said the attack was jarring, to say the least. “It’s very scary that these things can happen without repercussions to people,” she told NBC 7. Although her eye was black and blue from her nose to her cheekbone, Cox said X-rays confirmed no bones in her face were broken. At that point, police said it would be the city attorney filing misdemeanor charges, and not the district attorney filing more serious felony charges, against Sanders because the extent of Cox’s injuries did not reach the threshold to classify the crime as a felony. 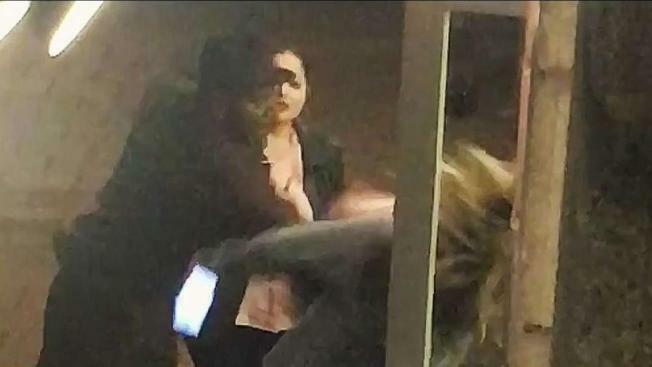 Disturbing video shows a man punching a woman in the face in the Gaslamp Quarter. Following the assault, the San Diego Police Department released the disturbing video in hopes of identifying Sanders. Cox told NBC 7 she worked with investigators to identify the main through pictures, too.